During pregnancy you not only eat for yourself but also for the growth and development of your baby. Therefore, not surprisingly, your diet changes from junk foods to healthy and nutritious foods including dried fruits and nuts. In fact, the benefits of dried fruits and nuts during pregnancy make them the perfect nutritious foods to be consumed by an expecting mother. “Today, women are more aware of the fact that late childbearing can lead to various complications in pregnancy like miscarriages, medical disorders and even inability to conceive. Therefore, they understand the need to eat healthy and maintain a healthy lifestyle at an early age. 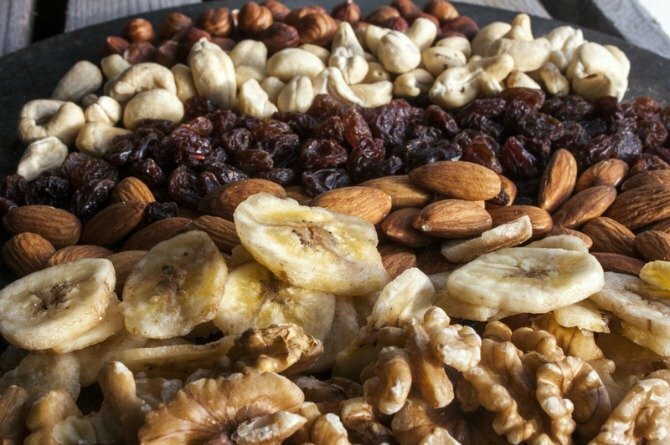 Therefore, for a mum-to-be, health foods including dried fruits and nuts are a very healthy option given their high nutrient value,” Dr Preeti Rastogi, senior consultant for Obstetrics & Gynaecology at Fortis Memorial Research Institute, Gurgaon, tells theIndusparent.com. They are abundant in essential minerals and nutrients such as folic acid, chromium, copper, manganese, magnesium, potassium, phosphorous and Vitamin A, B6, C and D among others. The dried fruits and nuts available with a natural brown coating such as almonds and walnuts are known to boost the digestive system. Dried fruits and nuts also include protein, which is essential for the overall body growth and brainpower of the baby. They also aid the body to absorb iron efficiently. 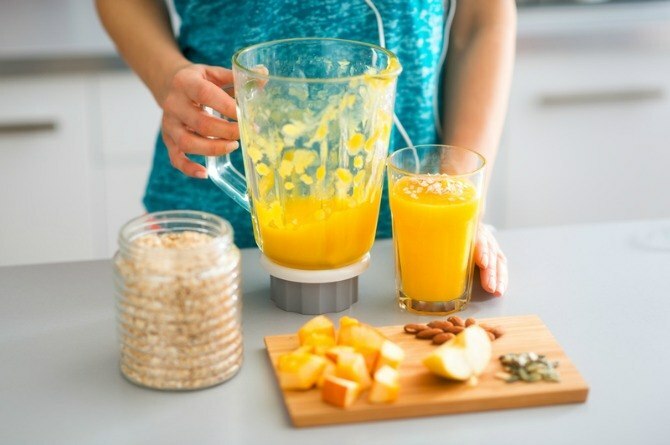 You can try consuming dried fruits and nuts with a glad of juice or any health drink of your choice. They are also easy to digest due to the presence of natural sugars. 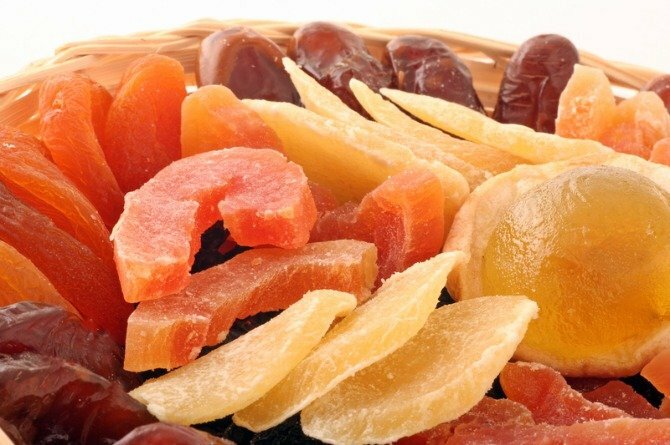 Dried fruits and nuts are rich in high energy and therefore, provide the necessary muscle strength to a pregnant woman. They are also low on glycemic index (measures blood sugar level), which means that they do not increase the blood sugar in the body. Fibre: Constipation is an often-discussed issue among pregnant women. This is primarily because the hormones slow down the bowel movement system so that the baby can absorb the maximum nutrients from the mother’s body. And if you took iron-rich prenatal vitamins, chances are you will have to bear constipation for a long time without the intake of fibre. Therefore, you should consume dried fruits and nuts, since they contain fibre to ease the bowel movement. Iron: Ideally a pregnant woman needs a maximum of 27mg of iron on a daily basis. Your body needs sufficient iron to produce more blood and hoemoglobin cells for your baby. In addition, this intake of iron will ensure flow of oxygen to your baby’s lungs. Calcium: Eating or drinking about 1200mg of calcium can ensure strength in bones and teeth for a woman. It also helps the blood to clot easily. Calcium, which is available in almonds, can perform both these functions. Vitamin A: You can find a high volume of beta-carotene in dried apricots, which is converted into Vitamin A by the body. This is an essential nutrient that aids the body to use red blood cells to develop the eyesight and vision of the baby and also keep your own immune system strong. Vitamin B: This essential nutrient that reaches the baby through the umbilical cord helps the baby to develop his lung and body cells. Dried fruits and nuts also have the property of controlling blood sugar levels in the mother and prevent the baby from developing asthma. Although the benefits of dried fruits and nuts outweigh their disadvantages, just like other foods, they must also be consumed in moderation. Most women who consume dried fruits and nuts during pregnancy and even as a traditional confinement food, are asked to avoid relying simply on these two food items. Therefore, you must take the following precautions while consuming dried fruit and nuts. Although they have natural sugars, sometimes you may find a variant of dried fruit and nuts with added sugar. But avoid adding more sugar to the naturally available products and stay away from high blood sugar. They may also contain traces of a toxic called acrylamide. Dried fruits and nuts that may be heated for a long time develop this carcinogen. It affects fertility and our nervous system. So instead opt for sun-dried fruits and avoid heating the nuts. You can however, cook them with other ingredients. Sometimes dried fruits and nuts come in preservative-filled bottles. Most of these preservative contain toxins such as sulfur dioxide, which causes allergic reactions and can even cause respiratory problems. They may also contain a large number of calories if they have been sugar coated or fried. Remember, increased calories affect the heart and slow down the bowel system. Impending motherhood presents many challenges for women from the point their changing bodies, to changing levels of physical energy, emotional upheavals, relationship changes with their partner and even outlook on life. Recipe Video: Veg mini calzones that your kids would love!